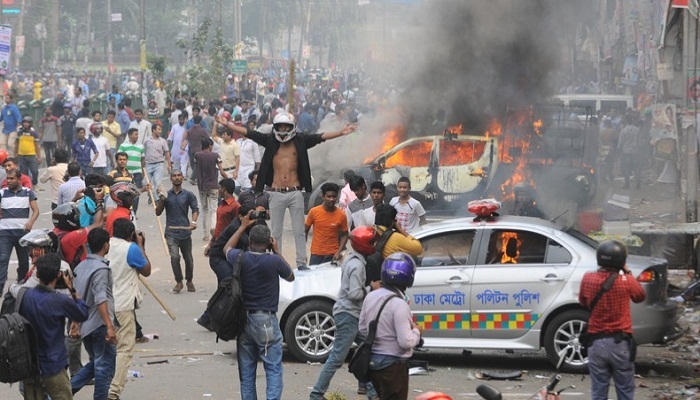 Election Commission (EC) Secretary Helal Uddin Ahmed on Monday said the clash over nomination paper distribution of BNP in front the party’s Naya Paltan office on November 14 is a criminal offence. He made the comment after a meeting of EC at the Election Bhaban with Chief Election Commissioner KM Nurul Huda presiding. Following the Paltan clash, EC asked Inspector General of Police (IGP) to submit a full-fledged report regarding the Paltan clash. IGP already submitted a report, a compilation of video footage and other documents, on Sunday. The commission sought cooperation of all to maintain peaceful atmosphere ahead of the upcoming general election, he added.